With a name like Tony Dingwall he was destined to pull on the Ross County shirt sooner rather than later. The 20-year-old 's name has caught attention and his performances haven’t failed to live up to the natural hype that has gone hand in hand. Hamilton Accies were the opposition when the midfielder made his debut, coming off the bench with 10 minutes to go in the 4-0 defeat. 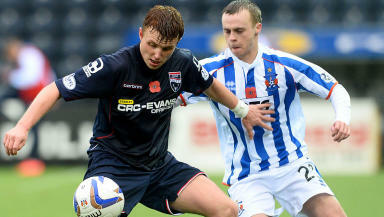 One more sub appearance followed before Dingwall made his first start in the 3-0 win away to Kilmarnock on November 8. 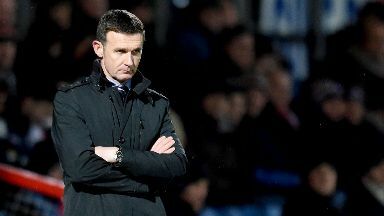 He’s stayed there ever since and finally made his much awaited Dingwall bow when his side welcomed Dundee United at the start of December. 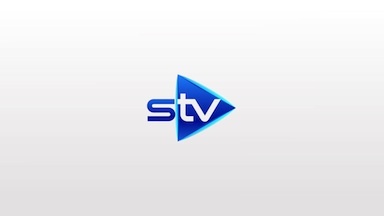 Two goals against Motherwell helped the Staggies earn a late point at Fir Park. Despite being an attacking midfielder the youngster is also comfortable on the wings, and has been known to play at left-back and on the right flank. He’s contracted to the Highland club until the end of the season so the next few months will be vital in determining his future. Jim McIntyre: “He’s only just in the side, he’s a young player with great potential. “He’s getting an opportunity to show that potential and grow it but it’s important we don’t ask too much too soon of Tony and we let him grow. He’s had a good start, he looks the part and we’ll continue to develop him. “He’s very good at running with the ball, he’s a very good ball carrying, and he’s good at running by a man. What we’d like to see a wee bit more from is a wee bit more selfishness in front of goal. After the Friday night clash with Dundee United at the start of December, it's clear how popular he is becoming with the home support. Tony Dingwall was outstanding tonight deserved MOTM, County on the other hand not themselves until the last 15 mins, too little too late. Another top draw performance @Tony_Dingwall never stopped running and always looked dangerous attacking!